Liverpool Ready To Step Up Interest For This 21 Y/O Barcelona Winger: A Wise Move For The Reds? 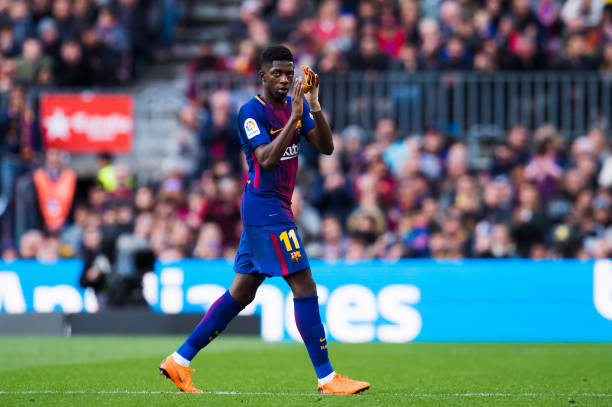 According to recent reports, Liverpool are leading the chase to secure the services of Ousmane Dembele from Barcelona. It is understood that if the Catalans are willing to sell their prized asset, then the Reds are the favourites to snap him up as Jurgen Klopp is a huge admirer of the Frenchman’s talents. Dembele has been a subject of limited game time for the Catalans this season. Rafinha has currently taken his place in Ernesto Valverde’s first XI to fill in for the injured Lionel Messi. The likes of Phillipe Coutinho and Luis Suarez are also preferred ahead of him as they are more consistent with their performances on the pitch. The French starlet has not been able to justify the hype surrounding his arrival at the Nou Camp from Borussia Dortmund in the summer of 2017. 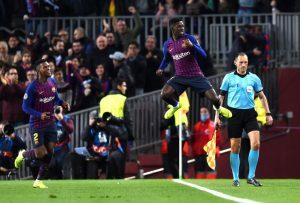 However, his goal-scoring record under Valverde has not been poor by any means which highlights that he still has a bright future in European football. The 21-year-old has featured in 16 matches for the Blaugrana this season, scoring six goals while grabbing two assists across multiple competitions. The Barca wonderkid has also secured 20 international caps for the French national team and has got two goals to his name thus far. What Will Dembele Bring To Anfield? Dembele can run at the opposition defenders with great pace and is an excellent dribbler with the ball at his feet. He can also beat any defender on the dribble especially when isolated down the wings which makes him an invaluable asset in the opposition half. The French speedster has a promising career ahead of him, so he needs to keep his head down and continue improving his game on the pitch. 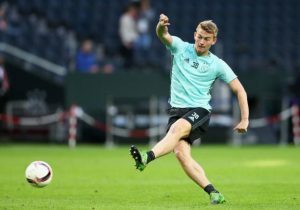 Is It A Wise Move For The Reds To Opt For Dembele? Dembele will be a perfect fit for Jurgen Klopp’s brand of football at Anfield as he would add even more pace and quality to the Liverpool attack. Despite all this, it won’t be easy for him to secure a regular starting berth at Anfield with the likes of Sadio Mane, Roberto Firmino and Mohamed Salah currently leading the charge for Klopp. The Reds are in dire need of a fresh face who can add a little bit of competition for Mane and Firmino. Hence, a move to recruit Dembele seems to be the correct call as he would give the Merseyside club an edge over their rivals in the race for the Premier League title. 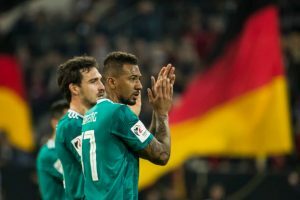 Bayern Munich Defensive Beast On Barcelona’s Radar: What Can He Bring Into Nou Camp? 4-4-2 Barcelona Predicted Lineup Vs Valencia: Phillipe Coutinho To Start For The Catalans? 4-3-3 Predicted Barcelona Lineup Vs AS Roma: Messi, Suarez And Dembele To Lead The Attack? 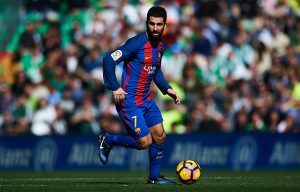 Manchester United Eye Surprise Move For Barcelona First Team Star: Will He Fit Into The Side?